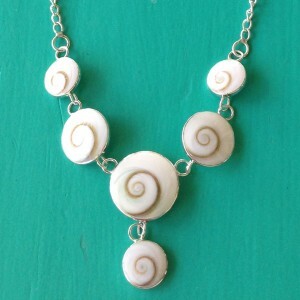 Shiva Eye Necklace in 925 Sterling Silver, gorgeous gift! SKU: YNSE001. Categories: Pendants, Shiva Eye. Shiva Eye Necklace in 925 Sterling Silver would make a gorgeous gift. 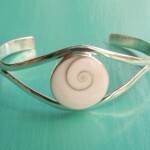 Completely natural, the Shiva Eye is actually the opercule or the doorway to a Turban Snail. 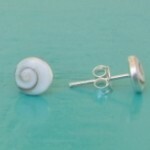 When the snail dies, the opercule falls off and is washed up on the beach.It is unique & perfect, with its amazing spiral set against a white background. This Shiva Eye Necklace set in 925 Sterling Silver would be a piece you or your loved one will cherish for a lifetime. 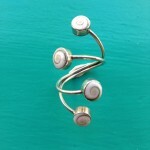 Pair it up with some Shiva Eye Earrings, Ring or Bracelet and you are sure to get that ‘wow!’ reaction.